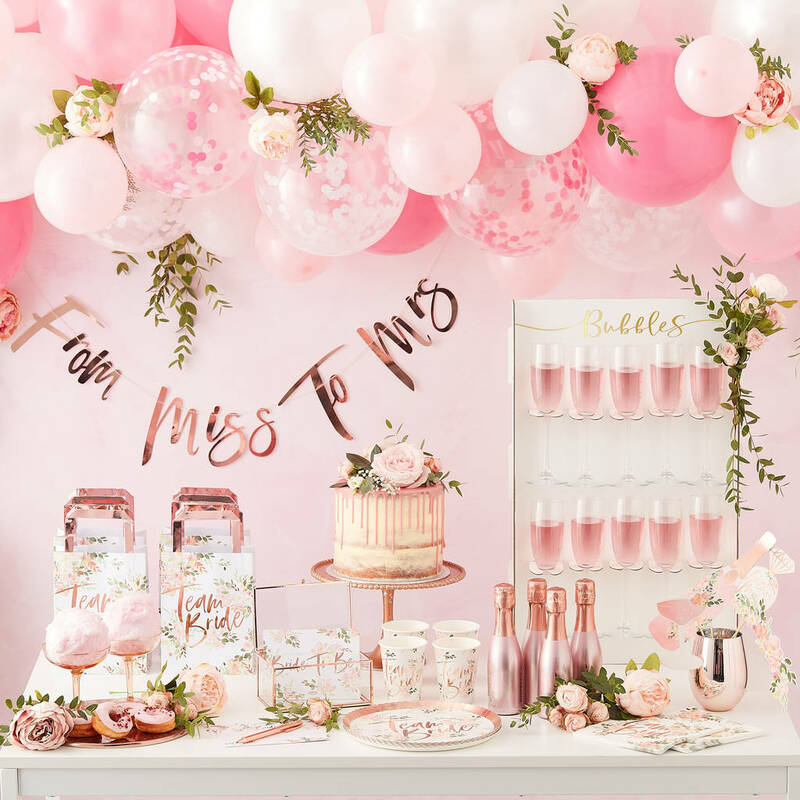 Make your sure you throw a Hen Do to remember by capturing pictures of the bride-to-be using this fun Photo Booth Prop pack. Make your sure you throw a Hen Do to remember by capturing pictures of the bride-to-be using these fun floral Photo Booth Prop pack. 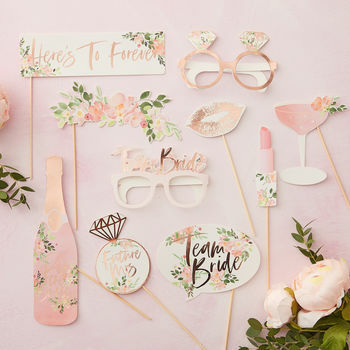 Create your own Photo Booth fun by posing with these fabulous novelty props! 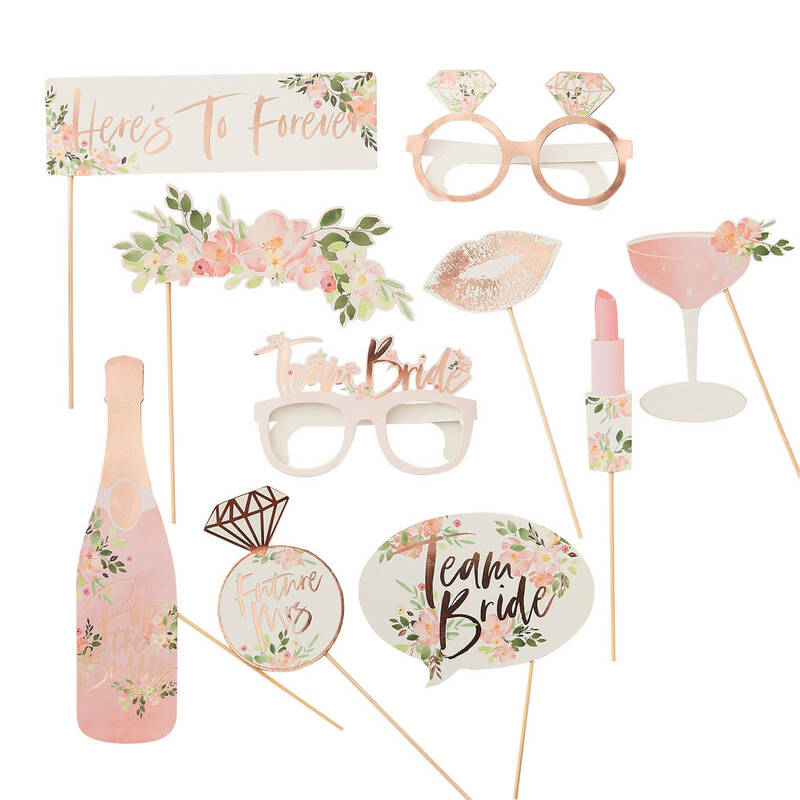 Each Photo Booth pack contains 10 props including: 1x Champagne Bottle, 1 x Future Mrs foiled sign, 1x Team Bride foiled Sign, 1x Here's To Forever sign, , 1x Team Bride Glasses, 1x Diamond Ring glasses, 1x Champagne Flute, 1x lipstick, 1x lips & 1 x floral prop. Each prop comes complete with wooden sticks or is wearable. Each pack contains 10 props measuring: 20cm (W) x 25cm (H). Each prop varies in size.